Mike’s put up two pieces reporting and commenting on the plan of unnamed Labour rebels to set up a separate party within the Labour party against Jeremy Corbyn’s leadership. It was reported in the Mirror and Torygraph that senior Labour rebels were so convinced that Corbyn would win the leadership, they want to create virtually a second party, with its own shadow cabinet and leader. They would also issue a legal challenge to get control of the Labour party’s name and assets, and would petition John Bercow, the Speaker of the House of Commons, to nominate them as the official opposition. Mike comments that the idea seems ‘hopelessly naive’. He makes the point that if they did carry out their plans, they would disrupt opposition to the Tories, and convince the majority of Labour members and supporters that they are really ‘Red Tories’ – Conservatives in disguise. Any attempt to gain the party’s name and assets would fail without the support of the majority of members. Mike also notes that they are also making a huge assumption that the majority of their rebel MPs would stay with them, when one of them, Sarah Champion, has already recanted and re-joined the Corbynites. He also notes that none of the leaders of this supposed plot have had the courage to reveal their identities, thus demonstrating once again the cowardice that has led their detractors to call them the ‘Chicken Coup’. And without knowing their identities, for all we know the story may have been made up by the Mirror and Torygraph. 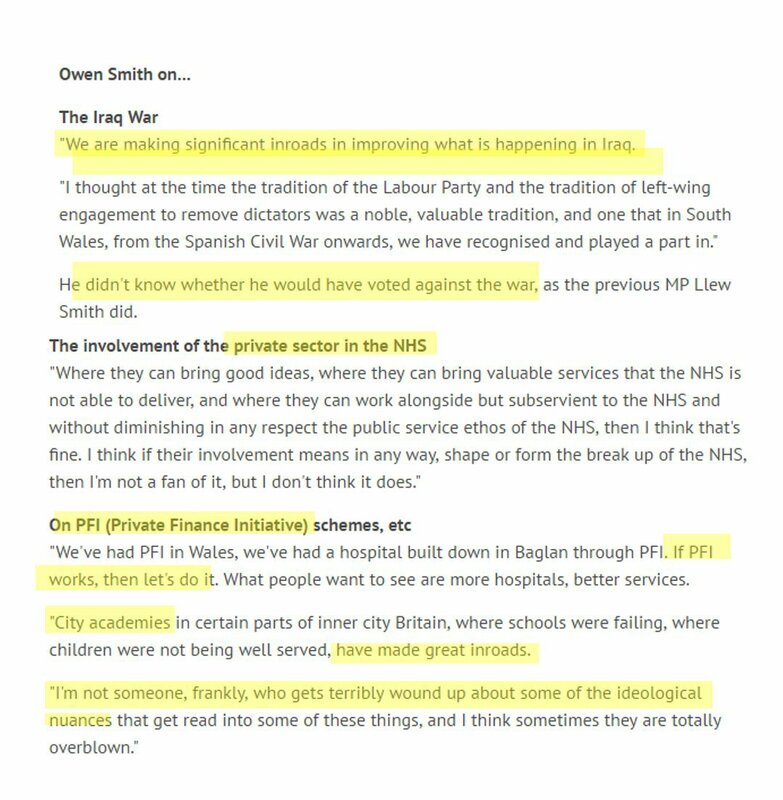 He concludes by stating that the only thing this will do is undermine Owen Smith’s own bid for the leadership. He stated that the Labour party was founded by pioneers, brave people, and that under the registration of parties act, they are the Labour party. There isn’t another, and he was very proud to be the leader of the Labour party. He also stated that it was nonsense that his leadership could cause a split, as membership had doubled since he became leader, and activity had increased. McDonnell urged Smith to condemn the minority of MPs supporting his campaign, who were trying to subvert the election and damage the Labour party. Smith, when asked for a comment, said he refuses to indulge in gossip. The Labour party has suffered a series of splits over its century-long history. Hyndman’s Social Democratic Federation, which was one of the Socialist groups involved in the foundation of the party, later split away in the 1920s to form, with other groups, the Communist Party. Keir Hardie’s ILP also split, to carry on as a radical Socialist party. One of its most distinctive policies was a complete rejection of the wages system. Outside the Labour party it very swiftly declined. The last time I heard anything about it was thirty years ago, when I found a copy of its magazine/ newsletter in Cheltenham Public Library. The most recent and notorious of the splits was that of the SDP in the 1980s, formed by the right-wing Labour MPs Shirley Williams, Roy Jenkins and David Owen. They claimed to be ‘breaking the mould of British politics’, and Owen at the 1987 election told the party faithful to go back home and prepare for government. There was then, almost inevitably, a Tory victory. Screaming Lord Sutch later offered Owen a place in his Monster Raving Loony Party, saying cheekily that if Owen had joined them, he would be preparing for government. The SDP forged an alliance with the Liberals, and the two eventually merged to become the Liberal Democrats. They have also signally failed break the mould of British politics, despite the Guardian telling everyone to go out and vote for them at the 2010 elections. As for Owen, in the 1980s he was so desperate for power that at one point he even offered to support the Tories in a coalition, just as thirty years later Clegg decided to get into bed with Cameron. And the SDP were also influenced by the neoliberal ideas of the Chicago School. Ann Soper, their Shadow Education Minister, was a fan of Milton Friedman’s ideas for school vouchers, which parents could use either on state education, or private. If such a split did occur, it would be extremely unpleasant indeed. The wrangling about party assets and name could take years to settle. The vast majority of grassroots members would depart, and stay with Corbyn. And I’ve no doubt that rather than establishing themselves as the ‘official’ Labour party, the coup plotters would find the British public turning their backs on them as treacherous and untrustworthy intriguers. They’d decline into another rump party, while Corbyn’s faction would probably expand. They might also go the same way as the SDP, and try to join the Liberal Democrats after the number of their MPs declined past a certain point, no doubt all the while grumbling about ‘unelectable’ Corbyn being somehow responsible for the misfortunes they had all brought down on themselves. Mike last week also posted a piece disproving Owen Smith’s claim that he was not part of the Chickencoup trying to overthrow Jeremy Corbyn. Mike points out that Smith resigned with all the others plotting against Corbyn, that he voted ‘No Confidence’ in him the following week, and is standing against Corbyn for the leadership of the Labour party now. He also reports that John Mann states that he was approached to back Smith as leader six months ago. He supported the Iraq invasion, the privatisation of the NHS, the Private Finance Initiative and the academisation of our schools. In other words, he’s a bog-standard Blairite privatiser like his fellow contender, Angela Eagle, who should have no place in any Socialist party.